Legendary rockers QUEENSRYCHE have just dropped their newest music video for "Light-years". Watch the music video on KNAC.COM HERE. The track is off of the band's most recent full-length album The Verdict, released March 1st via Century Media Records. "We're very excited to unveil our new video for the song "Light-years", from our new album The Verdict, directed by David Brodsky and Allison Woest of MyGoodEye Music Visuals," states QUEENSRYCHE bassist Eddie Jackson about the music video. 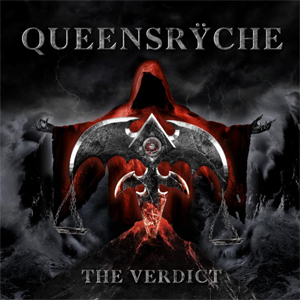 QUEENSRYCHE continues to dominate the Rock and Hard Rock world with the release of their newest LP, The Verdict. The album debuted in the top 10 in countries all across the world such as: #4 on USA's Hard Music Chart, #8 on USA's Rock Chart, #14 on USA's Top Current Chart, #16 on USA's Billboard Top Albums, #110 on USA Billboard's Top 200, #6 on Germany's Album Chart, #4 on the UK's Rock Chart, #143 on the UK's Album Charts, #6 Sweden's Metal/Rock Chart, #6 on Sweden's Vinyl Charts, #8 on Sweden's Physical Album Charts, #82 on Sweden's Album Chart, #9 on Switzerland's Album Chart, #9 on France's Physical Album Chart, #66 on France's on Physical and Download Album Chart, #92 on the Netherlands Album Chart, #69 on Belgium's Album Top 200 Wallonia, #43 on Belgium's Album Top 200 Flemish, and #107 on Japan's Album Charts. The album was produced, mixed, and mastered by Zeuss (ROB ZOMBIE, ICED EARTH, HATEBREED) at Uberbeatz in Lynwood, WA, Planet-Z in Wilbraham, MA and Watershed Studio in Seattle, WA. Catch QUEENSRYCHE for the remainder of leg one of their The Verdict headline tour in The US. The band has been performing to SOLD OUT shows all across the US. Leg two of the world tour starts on July 25th in Berlin and wraps in Essen on August 17th, hitting all the major European tour markets. QUEENSRYCHE "The Verdict European Tour"